I always promised I would issue an update on our situation, after our shock withdrawal last September, so here goes. Please understand that, as you might expect, all planning is in a rather transient stage at present and I don't expect we will be in a state to make any firm announcements, and update the website accordingly, until around Easter. I am receiving frequent queries so I thought I would issue this statement in a Q&A format for ease of comprehension (you can then just read the section that interests you). IS MENDIP MULE MOTORBUS RUNNING AT ALL IN 2018? A decision has been made since Xmas to operate again this summer, however for a much shorter season than in 2017 to attempt to stem the considerable losses made in those wing periods. However - importantly - for this to happen we need to raise the £3,000 of our Crowd Funding appeal to cover the restart up costs, as the awful summer of 2017 left us in a financially depleted state (travel incentives, in excess of sums pledged, are being offered). 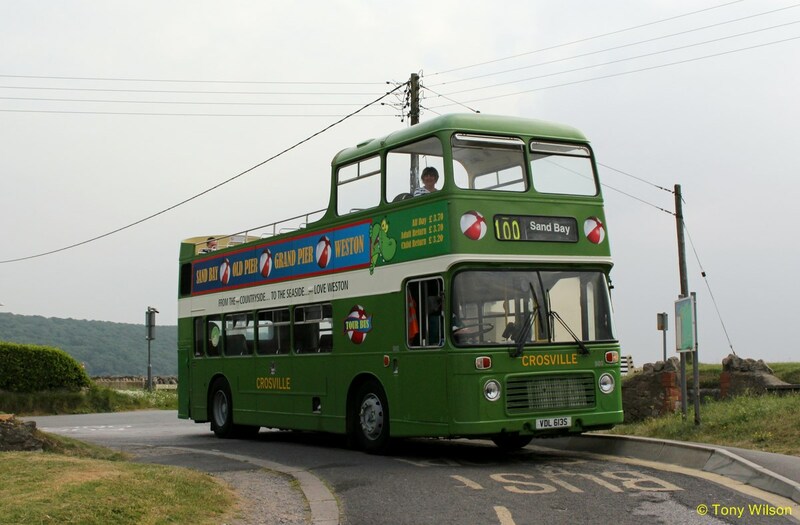 On top of this, if our flagship single deck open top bus is to run this season, we need to raise a further circa £2,000 to cover some essential mechanical work to enable it to go for retest. We are hoping local councils may also be able to help us towards these two sums via their community grant schemes. IS THE JURASSIC MULE TOUR ROUTE RUNNING IN 2018? Yes, but only for the Summer school holiday period, with a special relaunch day on Sunday 22nd July, when a good part of the revenue will be donated to charity. The service is expected to run daily from Wednesday 25th July until Tuesday 4th September (the actual primary school holiday dates in the area). 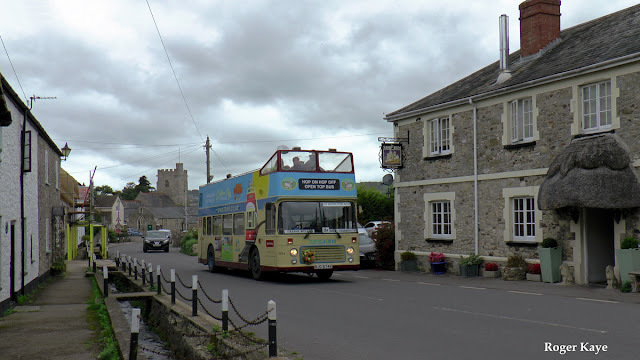 It will again be a two bus service, operating hourly from Newlands Holidays at Charmouth in the east, to Beer in the west, via Lyme Regis & Seaton. However we are exploring adding an extra ingredient for this season that would possibly involve a third bus. IS MENDIP MULE STILL A HERITAGE BUS OPERATOR? Yes, we have run out of time with exploring external funding streams to be able to upgrade our fleet for 2018, so we will once again be operating the heritage open top fleet. We will still be exploring the upgrade for 2019, so this could well be our last season as a heritage operator. To mark this we will be holding an end of season Gala Day, to coincide with Seaton Carnival, on Saturday 1st September. IS THE ROUTE STILL SERVING SEATON UNDERFLEET? Yes, but with no layover time allowed at the stop there. Nor will our buses, under normal circumstances, be using the coach park there. This is to reduce our impact on local residents. WILL THE SPECIAL SERVICES BE REPEATED IN 2018? Yes, there will be specials and later services for Lyme Regis Red Arrows Day (tbc), specials for Beer Regatta Thursday, and a special to visit Sidmouth Red Arrows & Battle of Britain Memorial Flight Day. WILL COLYTON BE SERVED IN 2018? Sadly no longer on a daily basis, but we won't forget the town completely as we will be offering specials from Colyton to Lyme Regis Red Arrows, Beer Regatta, Sidmouth Red Arrows, Gala Day Specials and Seaton Carnival. Plus we will be happy to talk about picking up any prebooked groups there. WHERE WILL THE NEW OPERATING BASE BE? Our new Operations Manager is working on this at present and it looks like he has found a suitable venue, as we will no longer be using the car park at Colyton Station as our base (to remove our impact on nearby residents). We also, just today, have information that a second site, closer still to the route, may be available. WHO WILL BE RUNNING JURASSIC MULE IN 2018? With my announced partial retirement, due on my 65th birthday in May, the day to day reins will pass to our new Operations Manager, who we will be announcing shortly. He has operated his own heritage coach business in the past and now lives locally to the route. Such is his belief in the project that he has offered to work this season on an expenses only basis. Working closely alongside him will be Richard, returning for a second season in charge of PR and social media, and also generously giving his time on an expenses only arrangement. I of course will remain in overall charge, again taking no payment, and will be present on site on some days still, as well as reverting to a few days back behind the big wheel, and I am looking forward to getting back to basics (instead of daily hair tearing!). WHAT BUSES WILL MENDIP MULE BE RUNNING IN 2018? Again we will be bringing together a pool of heritage open top buses to operate our services. Returning of course will be our own TDL 564K ("Eric") subject to the work mentioned above being carried out. Also we have an arrangement that returns our old faithful BJG 674V ("Baz") to the fleet, along with the same owners VDL 613S. Returning also is Steve Salter's UWV 614S ("Frankie"). I thank these owners for agreeing very generous rates. Also Rob Sly has offered us an amazing deal that could well see VDV 138S ("Illustrious") returning to the pack, along hopefully with perhaps a briefer stay from his soon to be reborn SWC 24K ("Dreadnought"). I must state that not every bus will be running, or even perhaps present, on every day of the season. There is also the possibility of a "surprise bus" for a few weeks as well. Yes, I am afraid that overall our tour fares will have increased by an average of £1 per ticket. Put simply, we cannot risk a fourth season's loss in a row. Hopefully this has a chance of bringing us in at break even. I hope you will understand? I am sure however that Richard will again have some pop up social media special deals in store to enable you to save £££s. ARE THE TEAM MULE DRIVERS ALL RETURNING? I am pleased to say that most of our super team have confirmed that they will be returning in 2018. They are also coming aboard by accepting a slightly less advantageous financial deal (which, to face facts, was pretty modest for the responsibility even before). But such is their belief in the project. A few have even offered to work for further reduced rates, expenses only, a three days for two pay, or in one case nothing at all. I am truly humbled by this level of support from the team. WILL THERE BE AN ISLE OF WIGHT WEEKEND IN 2018? I had said last year that TDL 564K wouldn't be returning 'home' in 2018, thus meaning no Island weekend. However at that stage I had no idea that former Isle of Wight bus VDL 613S would be joining our fleet in 2018. This has prompted a rethink. I can now announce that we expect to run an Isle of Wight weekend with VDL 613S (with thanks to its owner) on 7th & 8th July. It is expected to be similar to the last two years, but with the itinerary swopped to offer a Closed Railways Tour on the Saturday and a Bus Enthusiasts Interest Day on the Sunday. The Saturday evening is expected to see a four hour "50 Years of the Isle of Wight Pop Festivals" Tour, which will visit the sites of the legendary festivals of 1968 (Hell Field, near Godshill), 1969 (Wootton) and 1970 (Afton, near Freshwater). On the evening tour there will be a pick up at Yarmouth for those planning on attending the Bournemouth Bus Rally earlier that day (with transport provided between Bournemouth & Lymington) and wishing to join our bus enthusiasts Sunday itinerary, which will also include a late afternoon ferry connection at Yarmouth. ARE ANY BUSES ATTENDING RALLIES IN 2018? We are solely supporting the Alton Bus Rally this year on Sunday 15th July. Our flagship single deck open topper TDL 564K should be present. 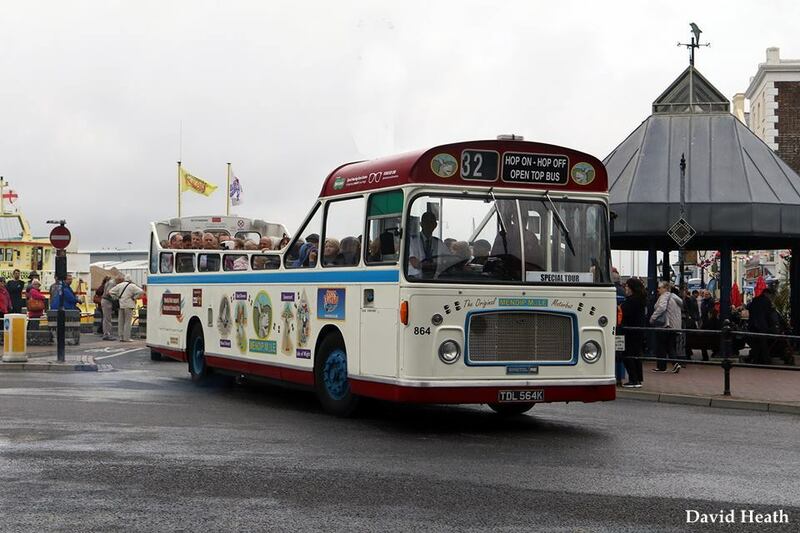 There is also a chance that VDL 613S will be present, following its Isle of Wight appearance the previous weekend (in fact there is a remote possibility of both buses being together on the Island the previous day, Saturday 14th July). This pair running together again would be very appropriate as these are the only two buses ever to have carried Shanklin's Pony yellow and blue livery during their Isle of Wight lives. IS MENDIP MULE LOOKING FOR DRIVERS? Yes, we will have plenty of shifts to cover, especially if we run a third bus on many days. You need to be 25 to 70, hold a full PSV and Driver's CPC, a clean licence for the last five years, and have had recent PSV experience, and at some point heritage bus experience. Living locally to our Jurassic Mule patch would be a huge advantage, but we can help with finding accommodation. We will provide route learning etc and vehicle familiarisation. However, new for this year, we do ask that incoming members to our team are available for a minimum of 5 days during the season (these can be split). We can offer expenses/accommodation packages in lieu of a wage if preferred. So there you have it. I think this answers the most often asked questions. Once again, we hope to be able to announce final details around Easter time (although the Jurassic Mule timetable may be a few weeks after that even). In the meantime can I thank absolutely all of our supporters for sticking with us, and keeping the faith, through what was a slightly sticky autumn. I think we have now turned the corner, but I would ask if you can please consider supporting our Crowd Funding appeal? Thank you.